Yesterday, as President Obama unveiled his new gun policy, standing by his side were former Colorado State Senators Giron and Morse, who were recalled in 2013 for their massive gun grab during the legislative session that resulted in some of the worst Second Amendment abuses in the country. We’re sure the President’s intent was to support his fallen brethren, but it served as a reminder that Colorado politicians who restrict Second Amendment rights face painful constituent backlash. Even President Bill Clinton acknowledged that the Second Amendment was a thorny issue for candidates and advised against infringing. Given the intensity around this issue and sensitivity of Coloradans to losing their Second Amendment rights, it’s almost like Bennet doesn’t want to win his re-election campaign. 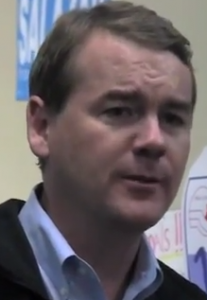 Either way, it’s good to know that Bennet has pitted himself against the will of Coloradans. Again.